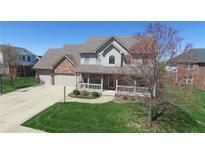 Below you can view all the homes for sale in the Meadow Bend subdivision located in Indianapolis Indiana. Listings in Meadow Bend are updated daily from data we receive from the Indianapolis multiple listing service. To learn more about any of these homes or to receive custom notifications when a new property is listed for sale in Meadow Bend, give us a call at 317 979 0009. 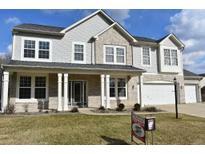 Walking distance from community playground & conveniently located near many Franklin Township amenities. MLS#21632483. DAVID BRENTON'S TEAM. Relax on the covered porch or venture out back to the open aired patio. MLS#21616507. DAVID BRENTON'S TEAM. Upstairs loft for TV or gaming area. MLS#21597310. Platinum Realty Co..